10.8 Want to Learn More? Most consumer digital cameras produce images in JPG format. This JPG format uses a so-called lossy compression which is not the best format if image quality matters (i.e., if you want to print the image and not just use it on the web). Higher end consumer cameras also give the photographer the option to use a lossless TIFF format but with this there is a high price to pay: these files take up a lot of space on the Compact Flash card, and it takes forever to write the image to the card. Let us use some numbers to show how this works (these numbers are not precise, we are only using them to show the magnitude of what is involved). For a 3 MP (Mega Pixel) camera, a fairly low compression JPG image might be 2MB of size while a TIFF file will be about 7.5MB in size. By selecting a lossless compression option for the TIFF file we might even get the file size down to about 5MB but to do so we would need more processing power to perform the compression in the camera. This results in a slower write speed to the Compact Flash card. It is here where the different proprietary RAW formats come into play.These RAW formats provide even more information in a smaller 3-4MB file! Except cameras with the forthcoming Foveon chip (not shipped at the time of this writing April 2002) and some high end three color scanning backs most digital cameras (all we have used so far) use Sensors which comply the the so called Bayer Pattern in one form or another. We think it is necessary to understand the Bayer pattern and the limitation it brings to digital photography. Lets try to understand how most photo camera CCDs (or CMOS sensors) see a photo. The sensors are capable of only seeing gray values. 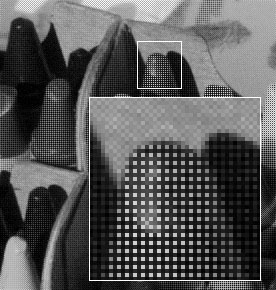 The better sensors see them at 12bit (or more) bit depth, or in 4096 (more) shades of gray. Some new designs like the Foveon camera feature sensors to capture full RGB images. How does this translate into an RGB image? "On top of the CCD's array of pixels (also called photo sites) is fixed a colored filter which has millions of little colored cells, each aligned with a single CCD pixel. In most cameras these filters are arranged in alternating rows, every other row with the filter colors (Red, Green, Red, Green, Red, ...), and the remaining rows as (Green, Blue, Green, Blue, Green, ...). Green appears twice as often because our eyes are most sensitive to differences in green for the detail in images" (from an article by Daniel Stephens). Still we don't have a RGB image at this point. To get this we need to interpolate the RGB values from the information we have on the neighboring pixels. This interpolation, which nearly all of today's digital cameras perform, might seem simple up front but it is not simple at all (i.e., how to resolve details, minimize noise, interpret color, etc.). RAW conversion is then defined as the way to interpolate the missing other colors in the RGB image. For JPG and TIFF files this interpolation is done by the processor chip in the camera and also, to save processing time, it is done for 8 bits of the available 12 bits of pixel information. In this process the other 4 bits are discarded unused. Now we can explain why the RAW file can be compact and still keep all 12 bits of color information. The RAW file is a dump of the gray scale data that the CCD captures, and it is then compressed by a mostly lossless compression scheme.This is what gives us a compact file and even more color information than the JPG/TIFF files produced inside the camera. But there is no free lunch. The RAW files cannot be directly opened by Photoshop. What otherwise happens in-camera with JPG and TIFF files now has to be done by an external RAW conversion program. For the D1/D1x we have at minimum 3 different commercial programs which can perform this task (Nikon's own program Capture 2, Bibble and Qimage). These are all quite different without a clear winner and many updates. For other cameras like Canon, Kodak and Olympus other tools are available (see end of this paragraph). You might be wondering why someone would go through these hassles instead of just using JPG or TIFF file formats. There are three important reasons for this: first,12 bit color information is only available with RAW files; second, computer-powered external RAW file conversion enables more complex conversion algorithms; and third, post-capture processing of contrast, saturation, WB (white balance), sharpening, and exposure give the photographer many more options and tools to work with. 12 bit color would not be necessary if, indeed, everything was perfect at the time of capturing the photo: exposure, saturation selection, WB and contrast would all be optimal for the captured image. The problem arises when everything is not perfect at the time of capture. As soon as you need to correct any of these parameters then 12 bit RAW files give your more data to work with it, which is also true in the world of scanning. You can access the full power of a computer to perform the interpolation task instead of a small in-camera processor. You can change all these parameters later and so get better results. That the image is represented inside other applications (like Photoshop) not in 12bit but in 16bit is related how computers work. They are far more efficient working in multiples of 8bit). Also the RAW files allow you to change the WB later while processing the image. All the current RAW conversion tools support one or the other way to correct WB. As one might expect the Bayer pattern introduces some typical digital artifacts. 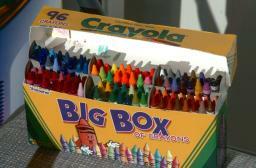 As the full RGB color is not really captured it is impossible to completely recreate the missing information. Just assume a one pixel wide blue line crosses a photo site which uses a red filter. Only the red part of the blue color would be captured (of value 0 = black) and the neighboring pixels would not help to recreate the blue. This effect is called aliasing. Aliasing can be treated later in software of by using an anti aliasing filter. Both do a good job but not all the time and have their price. Pure software solutions have to fight sometimes strong moire patterns and some images might even be lost for good. Now you might understand why many photographers hope that the Foveon sensor (which captures full RGB for each pixel) solves this dilemma. We keep you posted. Sharpening of digital files is more an art form than a science. There is no one fits all scheme. We will discuss our approach in the chapter "Digital Workflow". The noise in digital files is most often in the red and blue color channel. This might not surprise as the images has only half the original information on red or blue compared to the green channel. Also the noise removal can be very tricky. Best would be to remove all noise even before the tone curve is applied and in 16bit. Some tools can do this but may have other side effects like too much blurring. Many RAW file converters also provide you with options to correct levels and curves. We do not use this so much as here Photoshop is a good tool to work with. Get one of our inexpensive E-Booklets. RAW File workflow is one of our core competencies. Our series "The Art of RAW Conversion"